In true January spirit, we are kicking off 2018 with a new name and a new brand. Starting today, we are Atlantic 57. 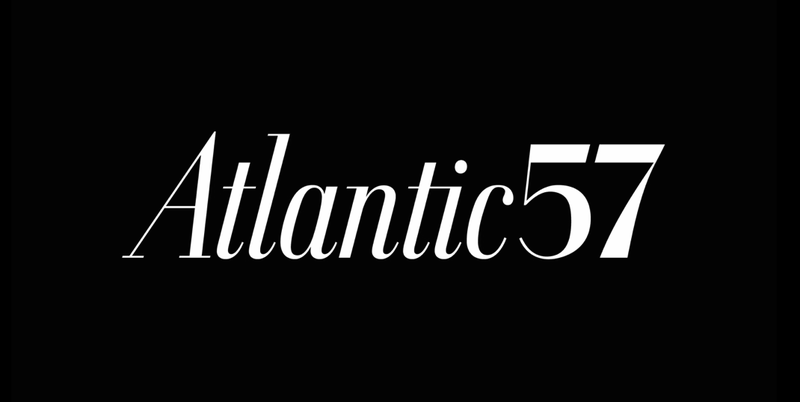 Atlantic 57 reflects our editorial heritage, our growth as an agency, and our plans for the future. In 1857, the founders of The Atlantic set out to create a magazine committed to the exchange of ideas on the most consequential issues of the day. Since then, The Atlantic has stayed true to this mission by continually adapting to a changing world. As a result, The Atlantic has lived on—and thrived— transforming from a print outlet to a multi-platform powerhouse. Throughout its transformation, The Atlantic has honored and strengthened its commitment to the values present at its creation. As one Atlantic 57 client told us, The Atlantic’s combination of authenticity and nimbleness over the last ten years is “almost unheard of.” This is the same promise our team has made to clients over the past five years: to help them adapt without losing sight of their mission. At Atlantic 57, we help organizations transform in service of their biggest ideas. We help our clients advance their ambitions, succeed in a fast-evolving content landscape, and stay true to their purpose and brand. We work alongside leading institutions to figure out how their ideas can grow their business and change our world. We love our new name because it enables us, the Atlantic 57 team, to continue to adapt and grow as well. And grow we have: from a handful of people in 2012 to a team of 50 editors, designers, strategists, researchers, marketers, and engineers. We serve organizations with the power to serve the world. We serve some of the most influential foundations, universities, Fortune 500s, and media companies — organizations such as PBS, Allstate, Marketplace, MIT, and the Ford Foundation. We are architects of modern audience engagement. Through every facet of our work — from audience research and content strategy to campaign and digital execution — we work in service of our clients’ larger business and societal goals. We help our clients change the way change happens. We work with our clients at times of transformation. Over 75 percent of them partner with us during a period of significant growth or change in leadership, strategy, or operations. We help them own their ideas and answer questions core to their survival. To our clients, partners, and colleagues, and to you, our readers: Thank you for being a part of our journey. From all of us at Atlantic 57, we wish you a 2018 full of exciting ideas and positive change, big and small. You can learn more about our work, history, and team on our new website.